Are you an eco-conscious architect, designer or lighting professional looking to stay up to date on the latest innovations coming off the energy-efficient lighting front? We’ve teamed up with Elemental LED to provide designers with the ultimate resource for all things LED by creating the Elemental LED Design Center, a one-stop destination for green lighting carefully curated by leading industry professionals. Here you can learn about everything from how to choose an LED vendor to retrofitting or creating new constructions with energy efficient LED lights and systems. You’ll even find plenty of inventive ideas that showcase new and unexpected ways to use LEDs to interior spaces. Check out the Elemental LED Design Center today and start creating your own new and beautiful LED lighting designs! Are you an eco-conscious architect, designer or lighting professional looking to stay up to date on the latest innovations coming off the energy-efficient lighting front? We've teamed up with Elemental LED to provide designers with the ultimate resource for all things LED by creating the Elemental LED Design Center, a one-stop destination for green lighting carefully curated by leading industry professionals. Here you can learn about everything from how to choose an LED vendor to retrofitting or creating new constructions with energy efficient LED lights and systems. You'll even find plenty of inventive ideas that showcase new and unexpected ways to use LEDs to interior spaces. 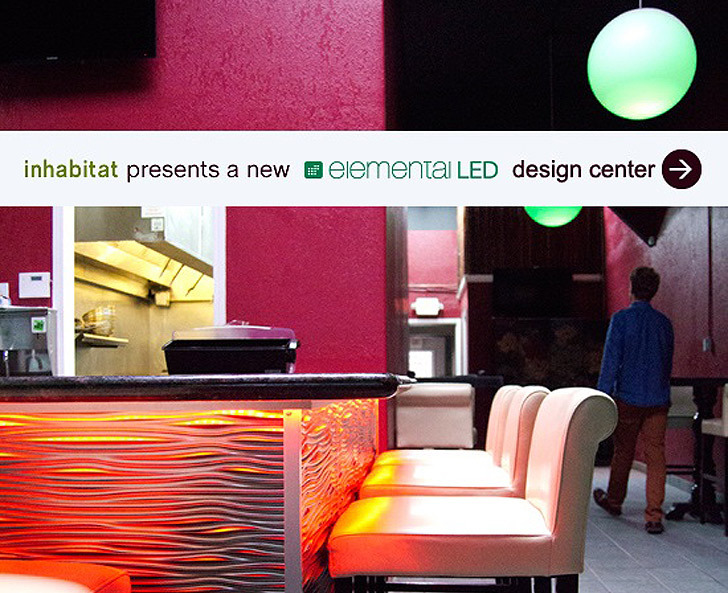 Check out the Elemental LED Design Center today and start creating your own new and beautiful LED lighting designs!